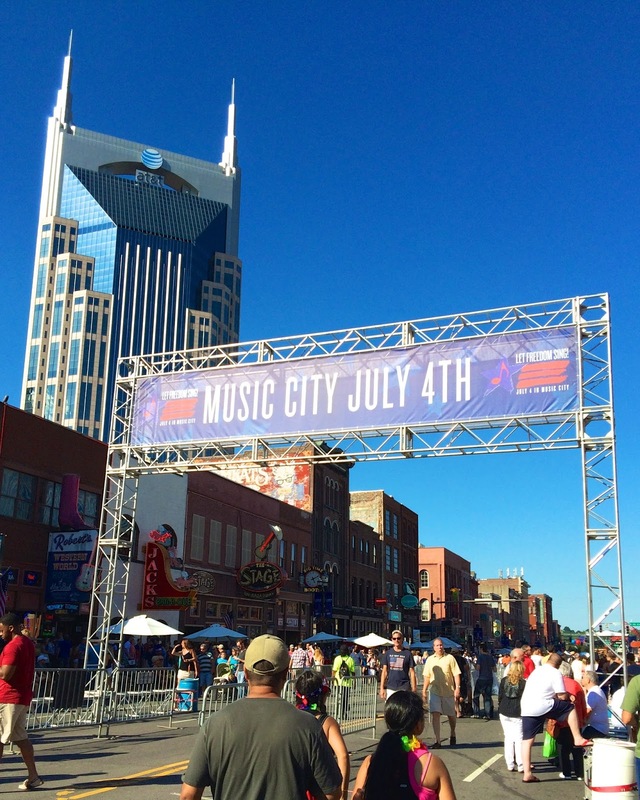 We took a road trip to Nashville for the 4th of July. 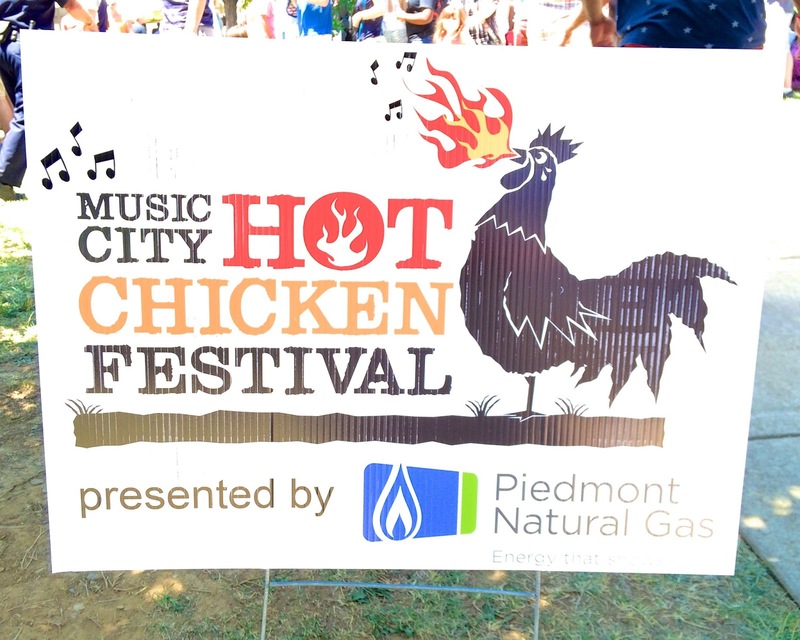 I was on the internet last year and stumbled upon the Hot Chicken Festival. What? 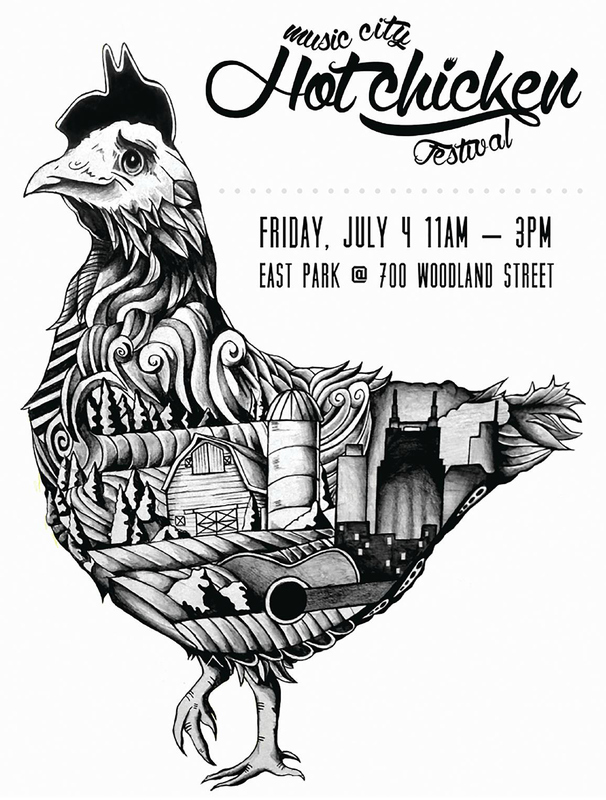 A Hot Chicken Festival? A place to try several restaurants at once? I am in! I immediately made hotel reservations! 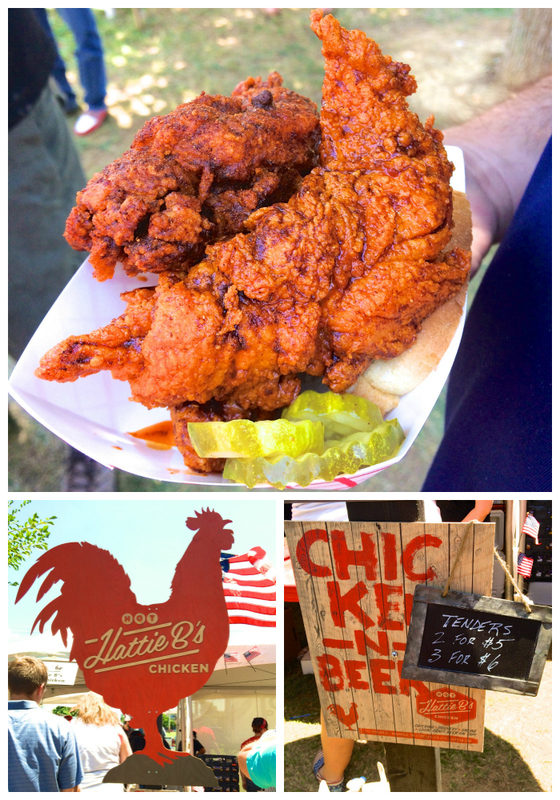 I couldn't wait to finally try the famous "Nashville Hot Chicken". We got so lucky that a cold front came though. It was only in the low 80s. Perfect! 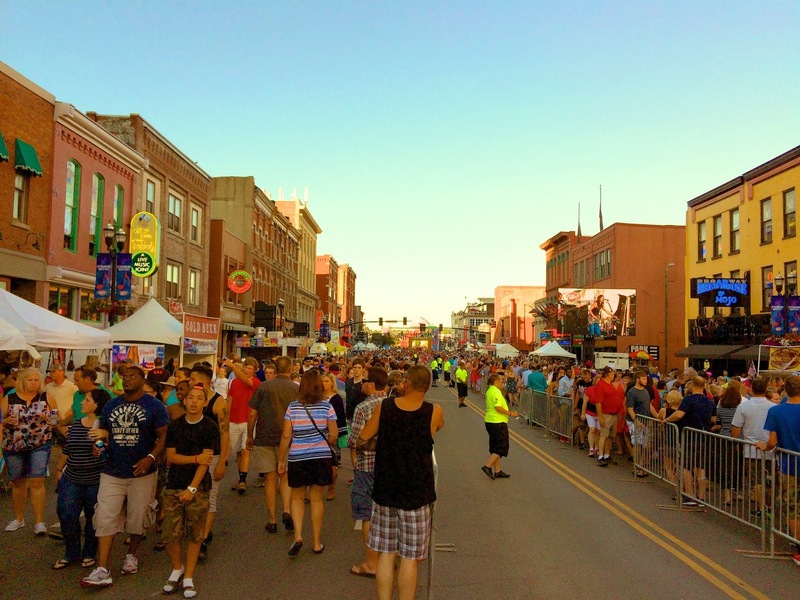 There were a TON of people at the festival. 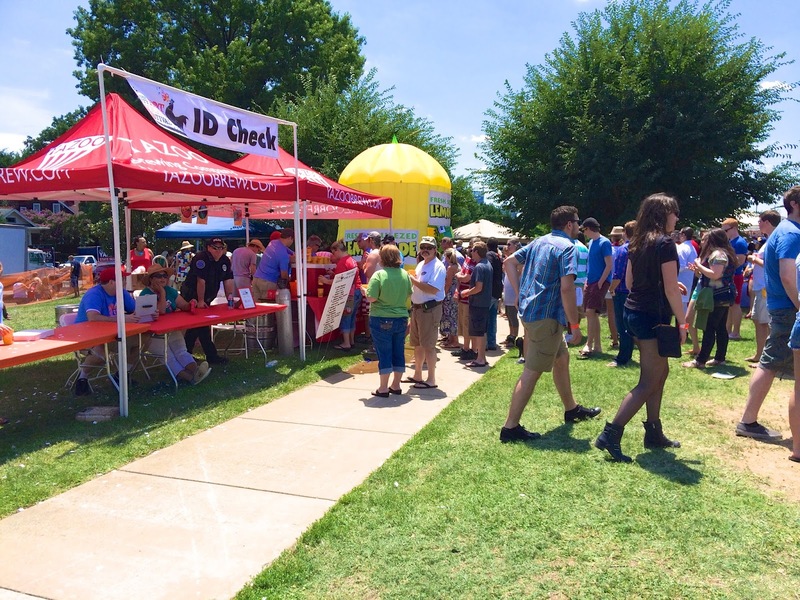 It was held at East Park from 11-3. There was music, chicken and beer. What more could you ask for?! Our first stop was Hattie B's. We waited about 45 minutes to get to the front of the line at Hattie B's. We got 2 medium tenders and 1 hot. The medium tenders were spicy, but really, really good. The hot tender? It was HOT! Really spicy. I can't imagine how how "Damn Hot" and "Shut The Cluck Up" are! I am tempted to try them at the restaurant next time we are in town. After we got our food at Hattie B's, we headed straight over to the line at Prince's. 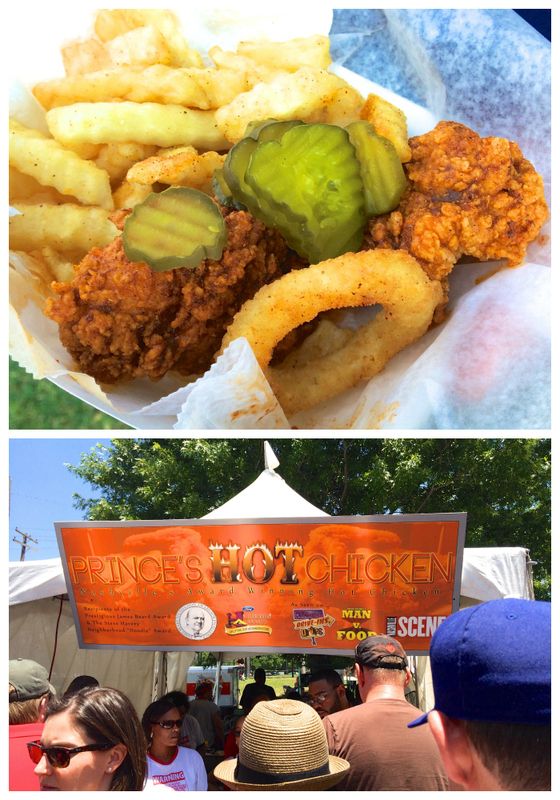 I had to try it since it is "THE" hot chicken place. We waited about 45 minutes to get to the front of the line. We placed our order and waited another 20-25 minutes to get our food. They were only serving medium hot chicken. You got 2 tenders and fries for $5. We took one bite of the chicken and O-M-G it was HOT. Now, I love spicy food. The hotter the better for me. The medium chicken at Prince's was so spicy that my lips were burning for at least 15 minutes after I stopped eating the chicken. We loved it, but I might suggest getting mild if you go to the restaurant! 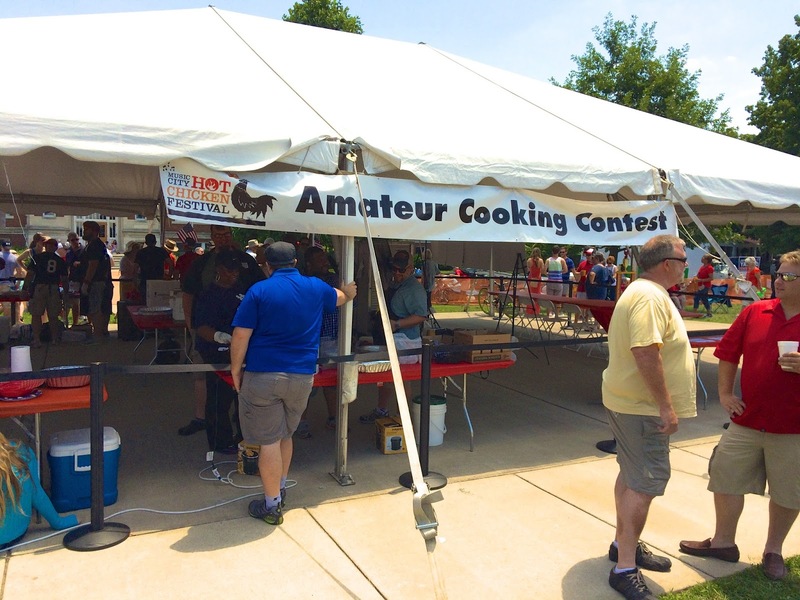 There was also an Amateur Cooking Contest. I couldn't resist getting a t-shirt. LOVED this chicken! 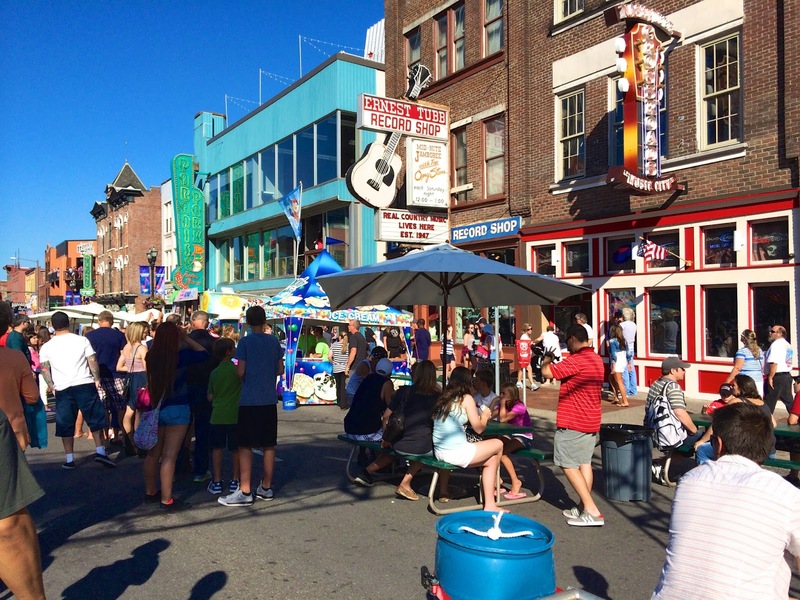 After the Hot Chicken Festival, we headed downtown to our hotel. We stayed one block off of Broadway, so getting to the celebration was super easy. There were a ton of people downtown. They had blocked off the street, so getting around was easy. 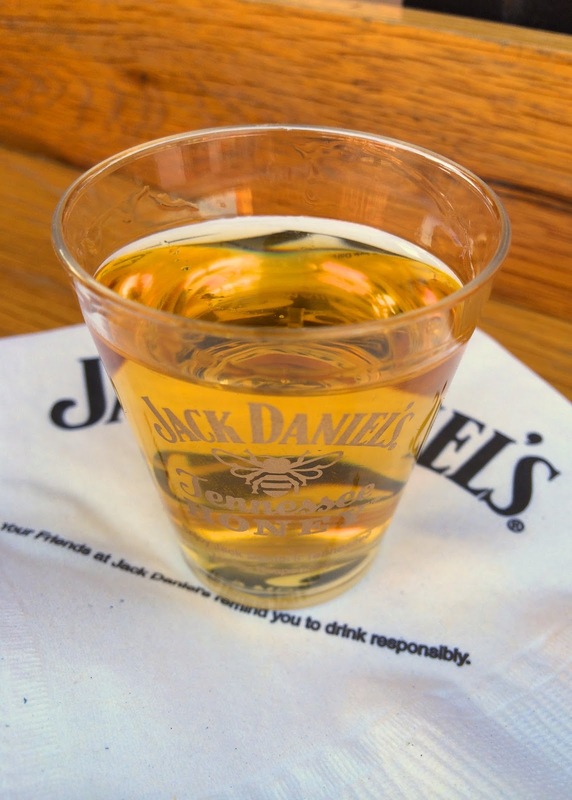 I got to try the new Jack Daniel's Tennessee Fire. It is only sold in three states right now, one of which isn't Alabama, so I was excited to try it. It is like Fireball whiskey. We stopped in a couple of bars for a drink. 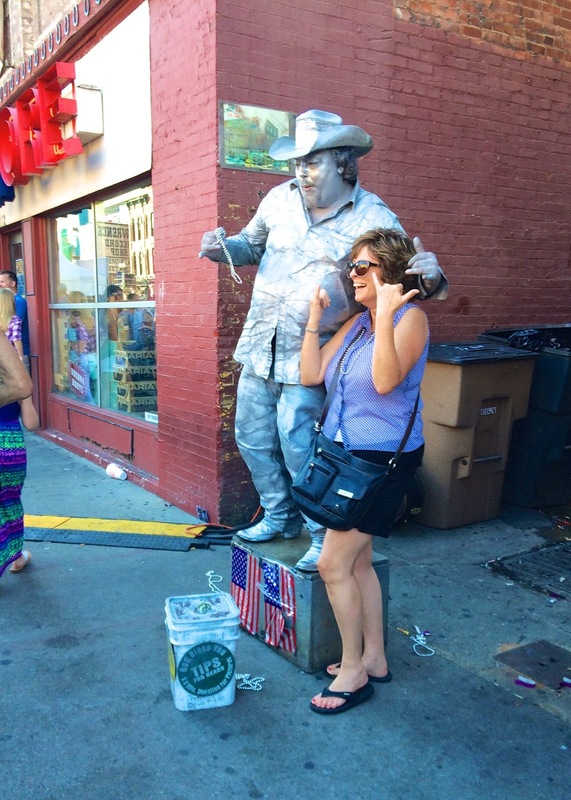 Our first stop was Tin Roof. We got lucky and snagged a seat at the bar. They had live music. We had such a fun time! The people watching was great! 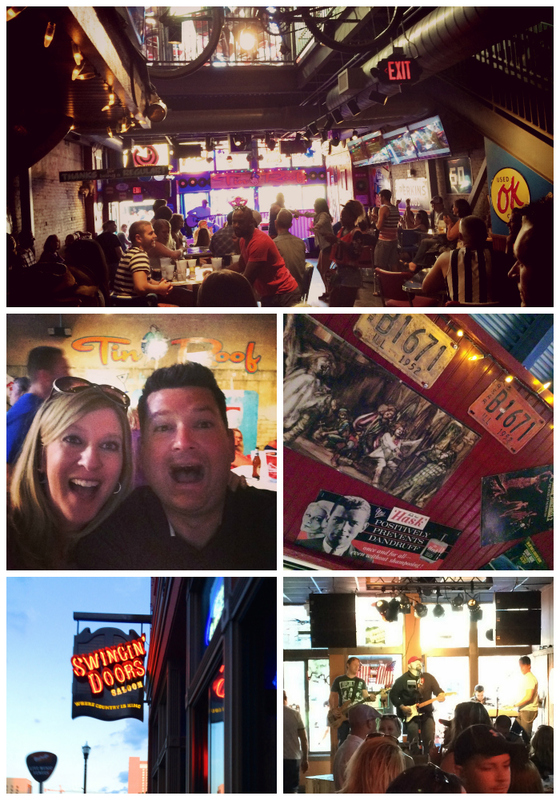 We stopped at Swingin' Doors Saloon on our walk back to the hotel. It was crowded, but fortunately they had two bars. One downstairs and one upstairs. They also had live music. These guys were much better than the group at Tin Roof. The crowds only got bigger as the day went on. After dinner we watched the fireworks! 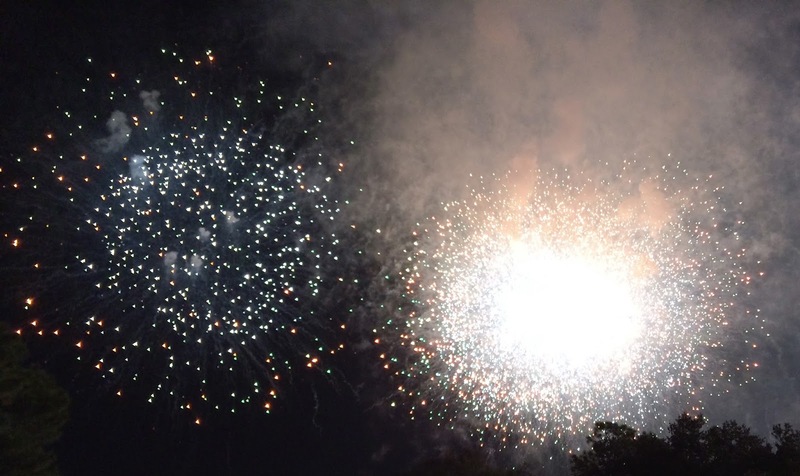 It was a fantastic 4th of July! Now I want chicken! LOL I can't do any spicy, though, so I guess I would be out of luck! (I know, I'm a wimp!) I also love that chicken that's on the shirt. Whoever designed that is amazing! 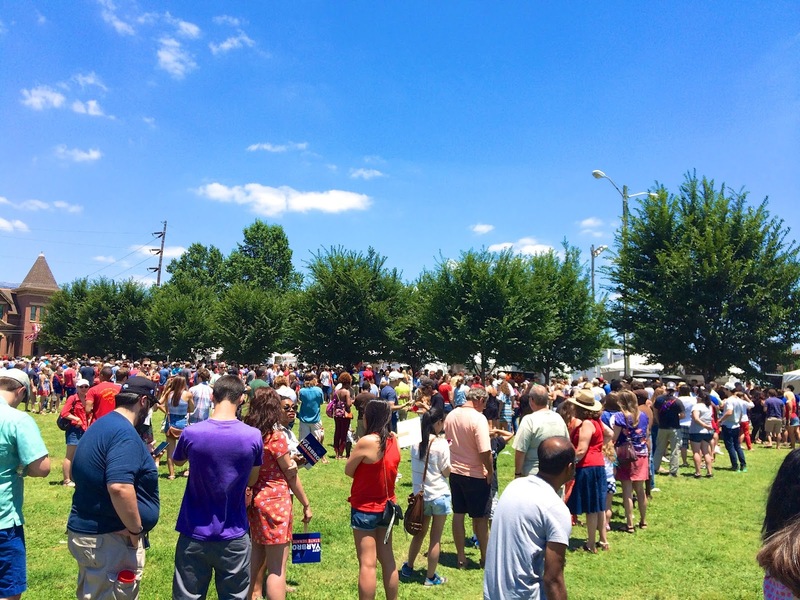 I married a man who doesn't do lines, so basically any kind of festival like this is out! That chicken looks yummy, though!